While carriers continue to expand their coverage areas by adding more towers on land, water still presents a challenge for getting good cell signal on a boat or marine vehicle. Cell phone signal boosters are designed specifically to solve this problem by taking a weak outside signal from distant cell towers, amplifying it and then broadcasting it to passengers on the boat. If you're looking for better reception while docked or out on the water, then a marine cell phone signal booster is the right choice for you. What is a Marine Cell Phone Signal Booster? A marine cell phone signal booster is similar to a microphone, amplifier and speaker system that you would find someone using to amplify the sound of their voice to a much larger area. A signal booster functions the same way in that it uses an outside antenna (the microphone) on the boat to receive the weak outside cell signal (your voice), passes it via a cable to a signal amplifier (the amplifier), and then passes it to an inside antenna (the speaker), which broadcasts the stronger signal to a larger area inside the cabin of the boat. The system also works in reverse, so if you're in the cabin of the boat and you're dialing out with your cell phone, the signal will go into the inside antenna, through the amplifier and then be broadcast from the outside antenna out to the distant cell towers. This ensures that you'll get consistent calls and data speeds both when receiving and making calls and data requests. In order for a cell phone signal booster to work, it does require at least some outside signal to boost. If there isn't any outside cell signal, then the booster will have nothing to boost, and won't work until you move into an area with a small amount of cell signal. Oscillation occurs when the boosted signal that is being broadcast from the inside antenna of the booster makes its way back to the outside antenna and creates feedback in the system (very similar to the squealing sound you get when a microphone gets too close to a speaker). Due to this, most signal booster systems require that the inside antenna be located inside of the cabin of the ship, so that the exterior of the boat blocks the boosted signal from reaching the external antenna. If you do experience oscillation, the best way to fix it is to increase the physical separation between the antennas by moving one or both antennas away from each other. You should also ensure that the inside antenna is not pointed towards the outside antenna, so the broadcast signal is not sent directly back towards the external antenna. Overload occurs when the existing outside signal is very strong and the amplifier is overloaded with too much signal. In this case the amplifier will shut down and not provide any boosting. This scenario will most likely only occur when close to shore and nearby cell towers, so the passengers on the boat should already be receiving a good cell signal, and the booster won't be needed anyway. Once the boat moves away from shore and the outside signal strength drops, the booster will start working correctly again. The type of boat that you have will determine what type of signal booster will work best for you. 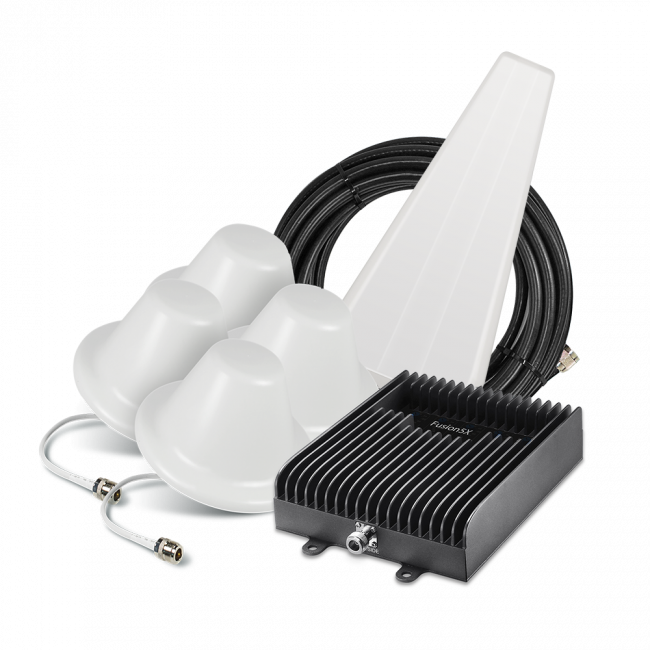 For any boat with an enclosed cabin, the best and most popular marine cell phone signal booster is going to be the Drive 4G-X Extreme Marine Signal Booster Kit. This kit will boost all of the networks on all of the major carriers in North America, allowing you the freedom to sail or cruise to Canada, the United States or Mexico, and still receive boosted signal. 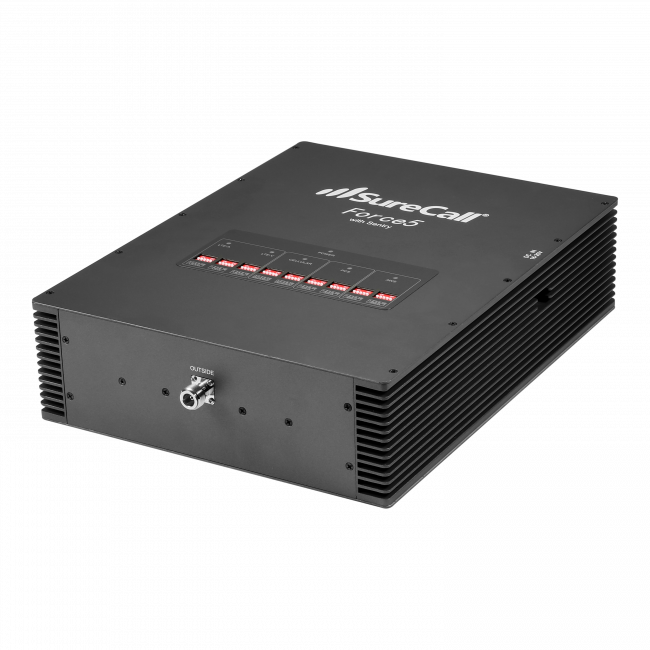 It also has the most powerful mobile amplifier on the market with the strongest uplink back to the tower, so you can be as far as possible from the cell towers and still receive boosted signal, though you may need to be close to the inside antenna for your phone or mobile device to receive the boosted signal. 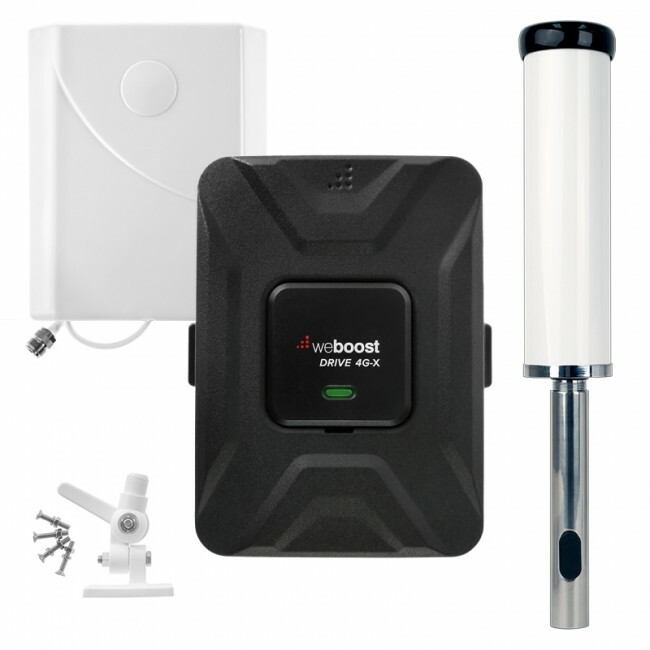 If your boat does not have an enclosed cabin or space to locate the inside antenna of the cell phone signal booster, then the best option for you is to going to be the weBoost 470107 Drive 4G-S Cradle Signal Booster Kit with the Marine Antenna Kit. 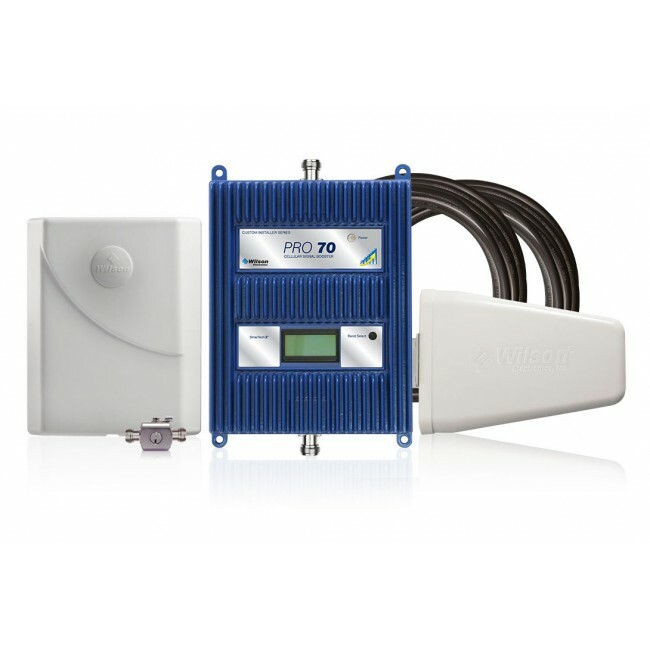 This kit will boost all of the networks on all of the major carriers in North America to an individual device that sits in the cradle of the booster, which eliminates the risk of oscillation and allows you to use the booster in the open air. Since the device must sit in the cradle at all times to receive boosted signal, voice calls will require you to use speakerphone or a bluetooth headset. Marine signal boosters can provide greater convenience for voice calls and data usage, as well as peace of mind in case of emergency situations. If you'd like help choosing the right marine signal booster for you, please do not hesitate to contact us with questions. Unfortunately, Europe and Asia use different frequencies that our North American boosters don't support so there are very few options available that would work for you. The only real option we would have for Europe is a direct-connect or cradle kit. If that would work for you, use the Contact Us link at the bottom of the page to get in touch and I can send you some more information. Have signal at all , does those dives works on the boat do I will have signal and call in phone ? For a signal boosters to work, you must have some existing signal that can be boosted. So if you will be so far from the nearest cell tower that you don't get any signal at all, a signal booster likely won't work for you in that case. Our larger signal boosters for boats that can work further from land require permanent installations with an antenna mounted high on the boat. Hi Tom, if you're able to get a bar of signal at the location where you mount the marine antenna on the boat, then the marine kit will definitely help your signal. Feel free to contact us at 800.590.3564 with any additional questions! I run a charter yacht in the Great Barrier Reef & phone signal is a constant problem. I have the antenna on the top of my mast which is connected to my Robustel wifi modem. Between these units is a Cyfre booster that has been modified to suit local signal frquencies and it seems to work well (I have only had it 1 month). I would like to get an external signal strength monitor to display the signal strength before it has been amplified so that I can know which areas are best for communication (the signal strength monitor (bars) on the bottom right hand corner of my laptop shows the bars but that is the wifi signal inside the boat & it is always full strength). . Is there such a unit available ? Thanks for writing. We do have some signal meters on the site for measuring signal strength, but they are geared towards the frequencies used in North America. The only band that I believe is shared with carriers in Australia is 850 mhz, so if you're looking to measure that frequency range, than any our meters should work for you. Otherwise, I'm afraid we don't have anything that will work for you. Please let me know if you have any questions. Yes, we do stock all 3 of the Marine Kits. All items ship from the west coast so you can figure out the UPS Ground shipping speed roughly from that.